30 Oct 11 copy & paste +upvote -downvote  I'm so happy! @mcflyharry SAMBA!!! how about a yellow and green outfit? @thereadyset awesome you have Emoji like me!!! RT @YaniaRaeBae: my mood had a downfall from to it'll probably carry over into tomorrow. 31 Oct 11 copy & paste +upvote -downvote RT @YaniaRaeBae: my mood had a downfall from  to  it'll probably carry over into tomorrow. @daHLeeiyaH yup! Alive and kicking! Whahaha chatting with the oldies! 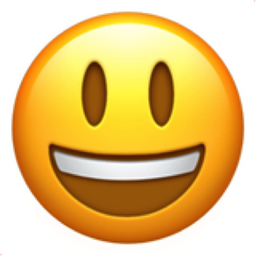 Like Smiling Face with Open Mouth Chronological Emojitweets 39?